Zamuel Hube – I'm a Finnish contemporary artist. Born in 1977. When I’m planning my new paintings, my main idea is to create an alternative world. Not far away from here. Twisted world where everything is in balance, but in odd balance. I use familiar elements on my paintings. When you come closer you’ll notice some small exceptional details. If the details work out well, you are usually getting some good impulses for your own imagination and something useful for your everyday life. 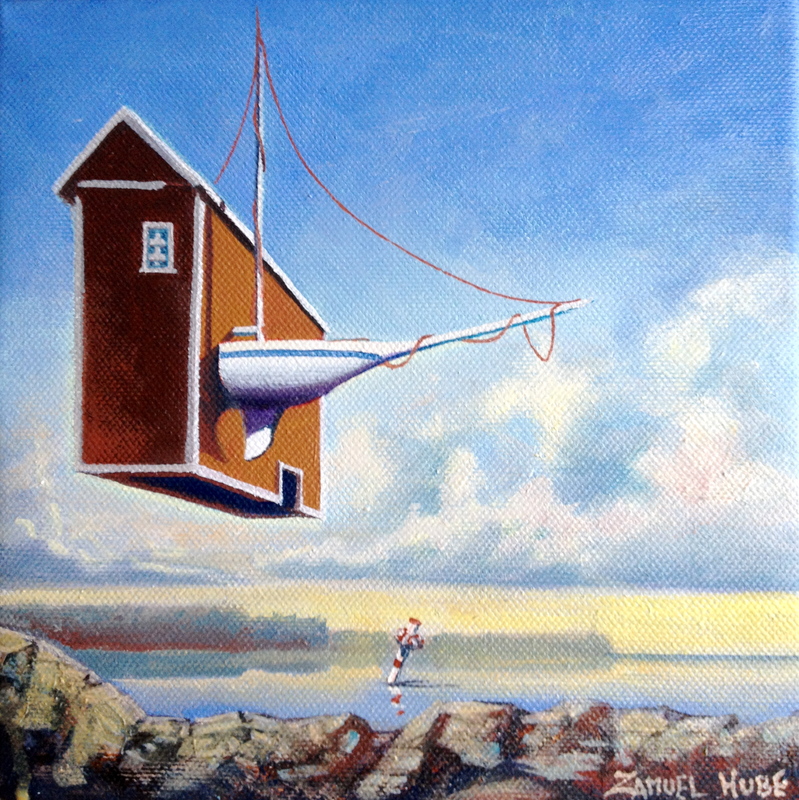 Zamuel Hube, “Sensation in sailing club”, Oil on canvas 2013, 20 x 20 cm. It’s very important that you are surrounded by the people who supports your carreer. I’m lucky to have persons supporting me along my career in many ways. I’m so grateful for all these amazing peoples. I truly appreciate all the efforts.